We invite you to discover a hidden gem on the Sunshine Coast: PRISMA (Pacific Region International Summer Music Academy). This event is growing to become a major influence – booth within BC’s arts and culture community and on the international classical music festival stage. 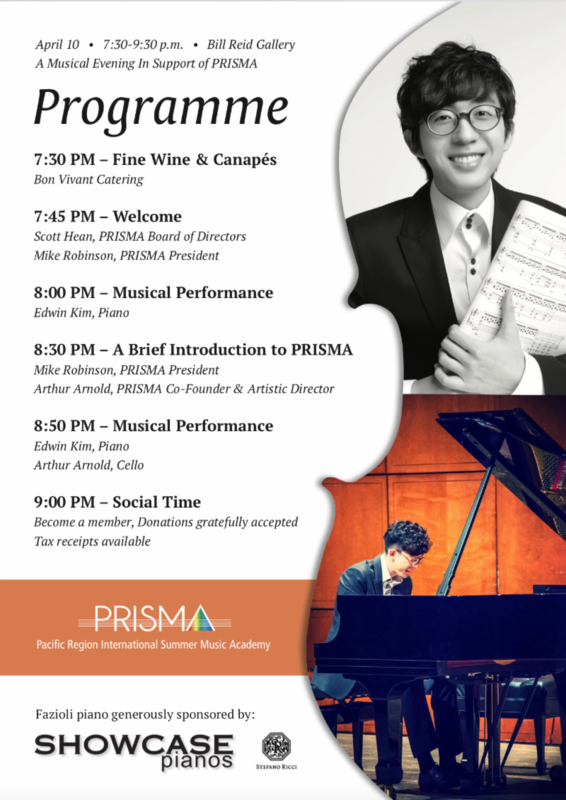 Join PRISMA’s maestro and co-founder, Arthur Arnold, and longtime PRISMA supporter, guest artist and award-winning pianist, Edwin Kim, for an intimate musical evening that will reveal the flourish of activity happening right here in our backyard. An award-winning recitalist, chamber musician and orchestral soloist based in Baltimore. 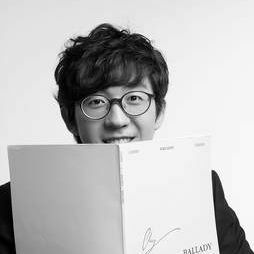 In 2017, he won first prize at the 3rd Australian International Chopin Piano Competition. He has served as a guest artist at PRISMA since the 2015 festival. 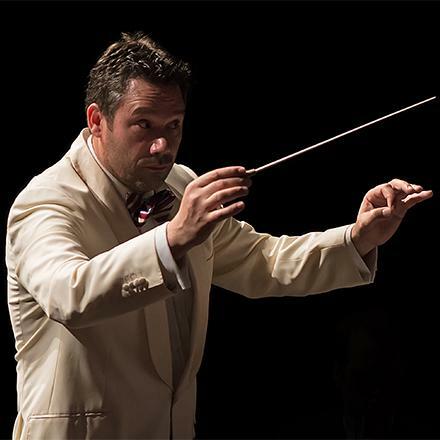 An acclaimed conductor in high demand on the international stage; currently music director of the Moscow Symphony Orchestra and co-founder/artistic director of PRISMA. Watch as he joins Edwin Kim for a special appearance on cello! The Pacific Region International Summer Music Academy (PRISMA) unites top music students and world-renowned guest artists on the beautiful west coast of Canada. Our programs provide a unique and immersive opportunity for enthusiastic young musicians to prepare for positions in professional orchestras. Private lessons, mock auditions, and career development initiatives bridge the education students receive at a university/conservatory and the professional life of an orchestral musician. With your help, PRISMA's vision to become North America's premier summer music school, attracting both students and patrons by the merit and quality of our offerings. Our 2018 orchestra featured 87 students from 17 different countries. Last June, over 8,000 concertgoers attended the two-week PRISMA Festival in Powell River, British Columbia, a city rich in cultural and musical tradition. PRISMA offers a full spectrum of musical entertainment including daily masterclasses and students recitals; a free community performance on the beach; plus a package of symphony and chamber music events that have been acclaimed by all who attend.